Adelaide 500 season opener to feature twilight sessions and races. The idea is that now the V8s will be seen on all 4 days of the meeting (previously the Thursday was only for support categories) This is to allow the V8s to have twilight practice on Thursday and Friday in readiness for a Dusk start for the race on Saturday. Qualifying will be held after the Friday twilight practice. It is not so much a night race, with Saturday’s Supercars race starting nearly an hour later than last year.... Sunday’s race will remain in its usual afternoon time slot. Mind you inclement weather could make it more than a twilight situation. Of course the meeting will also see the return of the Mustang name to Aussie Touring cars, with the Falcon now purely a memory. It wont just be the main game featuring in twilight... Super2, the Audi Sport R8 LMS Cup and Aussie Racing Cars will be amongst the twilight action on Thursday, while Touring Car Masters, Super2 and Porsche Carrera Cup Australia are slated for twilight sessions on Friday. I am not sure if that is an expanded support programme, because despite the later running of the day to get the twilight, action still starts on track at 9.30am every day. The inevitable utes racing is also on the card, just they seem not to allow them out after the sun goes down! Richie Stanaway is gone after his horror season. Hopefully he isn't lost for good given the talent that he showed in previous years. Im not surprised he is not being renewed at Tickford given the recent serve he gave them over their (lack of) abilities. I really dont know about him tbh.... he performed well when used in 2017, but this year was a nightmare. Was his car really that bad? The car, in its final race gold livery in its new home with others in the collection. ^^^The display method makes them look like a die-cast collection on a study shelf! The Ford Mustang Supercar has been given final approval from the Supercars Commission after undergoing the championship’s official homologation testing. 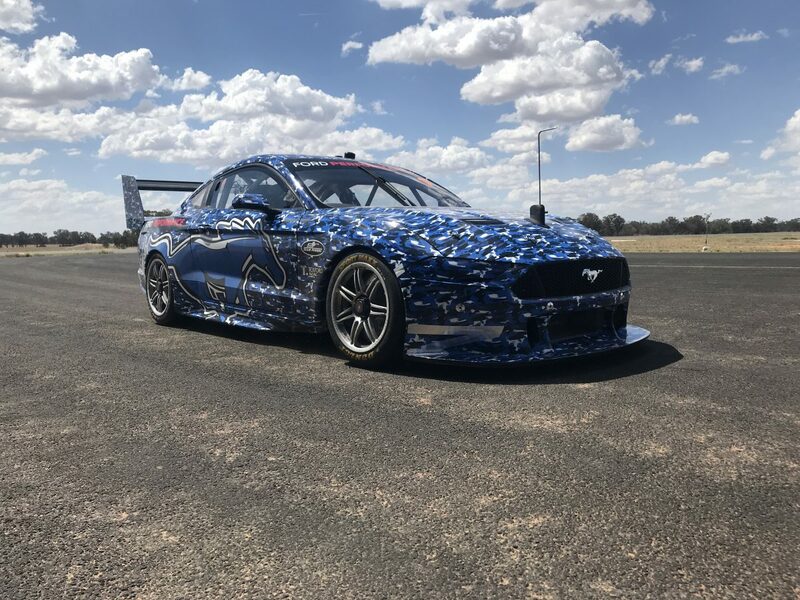 Ford’s new entrant has undergone a series of thorough straight-line tests known as VCAT (V8 Supercars Aerodynamic Testing) over a nine day period at Temora Airstrip in New South Wales, which was overseen by Supercars’ technical department. The Mustang, developed by Ford Performance US, DJR Team Penske and Tickford Racing, was matched against a current model Holden ZB Commodore and a Nissan Altima to ensure parity among the models. The three models were subject to a program of runway testing which measures aerodynamics and downforce. Aerodynamic components of the Mustang are then adjusted to equalise it to the two incumbent models. “With the assistance of the incumbents it has been a very smooth process throughout,” said Supercars Sporting and Technical Director David Stuart. DJR Team Penske managing director Ryan Story described the approval as a key milestone for the Mustang’s development. However, he admitted that his squad has plenty of work ahead to ensure the cars are ready for the 2019 season. “The Mustang project has now been ongoing for over 18 months, so getting the tick of approval through the VCAT testing process is a great milestone,” said Story. “That is only step one for us, however, as we must now get the race cars built and ready to perform for the 2019 season. Forgot to mention, I am 100% sure we will still have a mass of parity arguments, and the 'Mustang has a bigger willy than the Commodore its not fair, and 'why is that in carbon fibre not aluminium' etc etc type nonsense', as we did with Ford complaining over the ZB Commodore last year. I still hope it looks better when it sports its proper war paint team liveries as opposed to the cammo livery seen so far. So the Tickford lineup is Holdsworth, Chaz Mostert, Cam Waters, and Will Davison. Hopefully the move to a Mustang brings better fortunes for Lee, and gives him a seat better than the Charlie Schwerkolt's Team 18 ride, a relationship which had clearly gone off the boil with Lee announcing he was leaving them back in October after a very disappointing year in 2018. 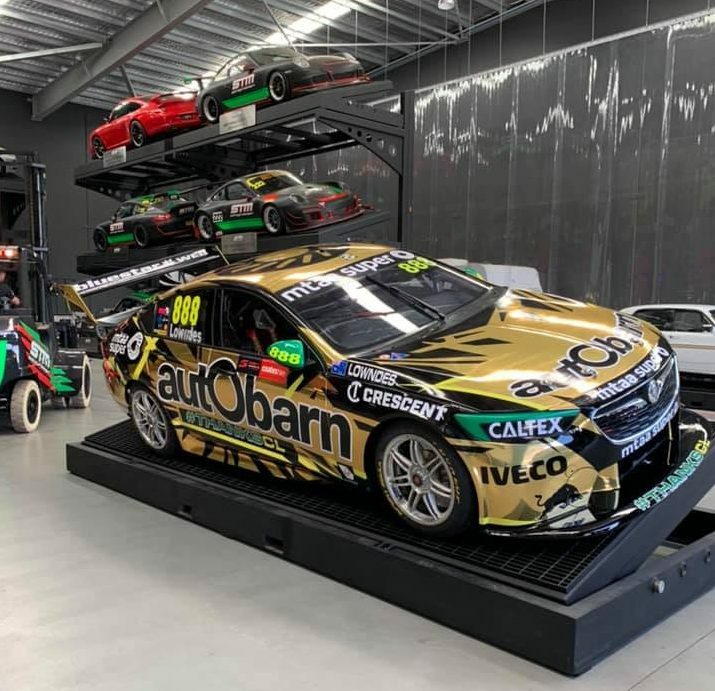 For our 2019 team launch we thought we'd mix it up a little and kick things off in style in Dalby, Queensland with Craig Lowndes, our 2019 Holden Commodore Supercar and the rest of the RBHRT crew. We'd love to see you there, and if you can't make it to town, don't worry, we've got you covered, stay tuned right here on the RBHRT Facebook page! Holden Motorsport have stepped in and confirmed that yes Craig Lowndes it seems will headline the livery launch, but that SVG and JW will be involved. 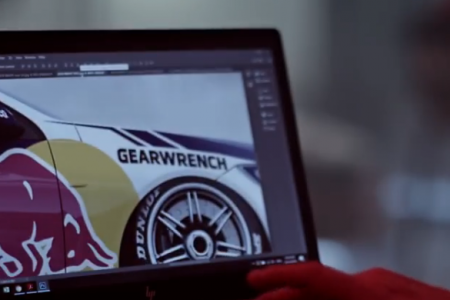 Who wants to see @redbullholden unveil their 2019 @supercarschampionship livery? A Red Bull livery launch hardly excites me as it will be the same colours as previous years with a difference in the main colour and what paanels have how much of what colour. Red Bull are milking it for all they can, releasing a teaser pic of the front guard..... which seems more white than last years mainly blue. That is taken from this teaser video on their social media. All I can say is 'yawn' predictable. 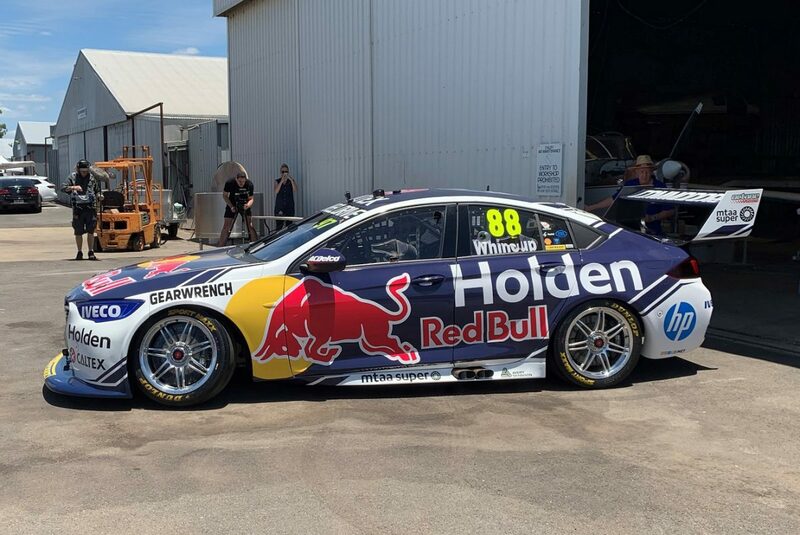 Red Bull also confirmed at their livery launch that Craig Lowndes, no longer a full time driver in VASC for 2019, will re-unite as a pairing with Jamie Whincup for the Enduro Championship this year. 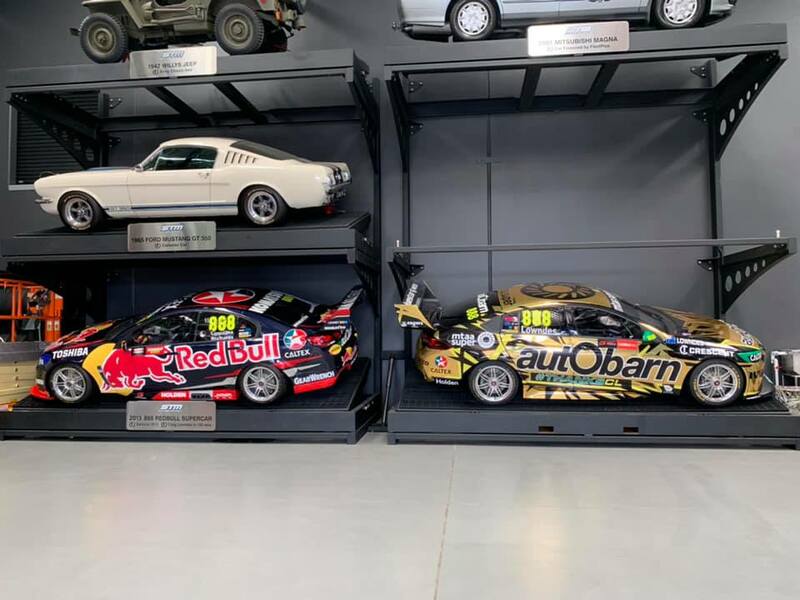 The pairing famously took three Bathurst 1000 victories in a row (2006/7/8) before the V8SC as it was then made the ruling that team primary drivers (ie those that raced for a team in the Sprint Championship ) could not pair up in the Enduro Championship, (from 2010) thus both Lowndes and Whincup had to do Enduros with lesser partners. Whincup raced mainly with Paul Dumbrell, the pairing winning Bathurst in 2012. Lowndes of course has paired up with Steven Richards in recent years, the pair winning last years race. As for who will partner SVG, no decision has been made.... Earl Bamber, his preferred choice is unavailable due to Porsche commitments overseas. Steve Richards is a possible having announced he is not ready to fully retire yet. Matt Campbell is theoretically free for all Pirtek Enduro Cup events and could be the choice. Dumbrell is expected to retire from co driver duties. Crikey. Total surprise. Big news. The lure of the $$$ I guess. With GRM having lost the Wilson Security backing and the comments about the need for money, when Boost come knocking on the door wanting to do a deal you have to at least open the door and talk. Just a shame for Tander all this did not happen earlier in the silly season when alternatives were still on offer for 2019. That would seem to be Tander out of a full time drive for this year. I guess there is one gig in the enduros he might be in the ring for.... partnering SVG! Lets see what Stanaway can do. Im not totally convinced of his level at this point. Im sure there will be much speculation in the coming days. He might still get a drive at Nissan.